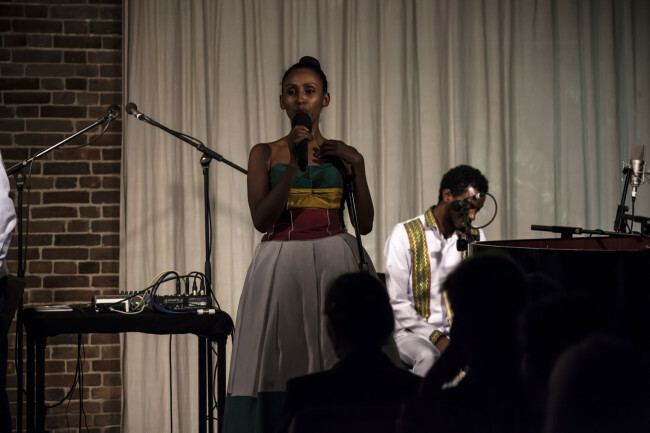 “Poetry Jazz” is the name of a particular style of popular performance poetry from Ethiopia that fuses poetry and jazz, recitation and improvisation. 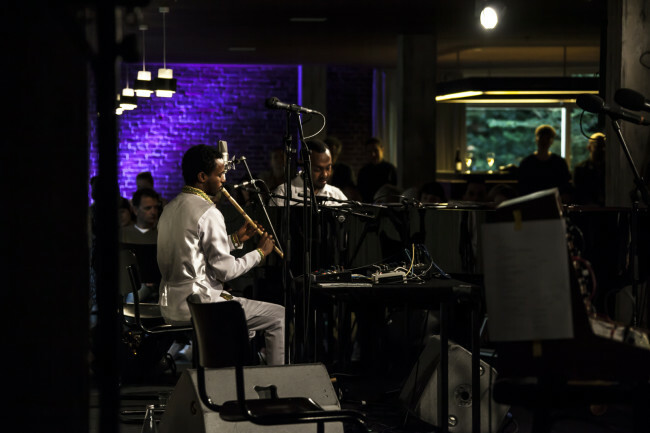 The musical elements, rhythms and styles draw connections between traditional Ethiopian pentatonic music and jazz influences. Live events in Addis Ababa reach a wide audience and are broadcasted nationwide over the radio. Based on a traditional lyrical form referred to as “Wax and Gold”, the poetry is often imbued with coded meanings. The literal and superficial layer of “wax” conceals a core of “gold” with meanings intentionally enshrouded in word games, metaphors and ambiguities. The poetic coding demands an active engagement with a second, unspoken message. 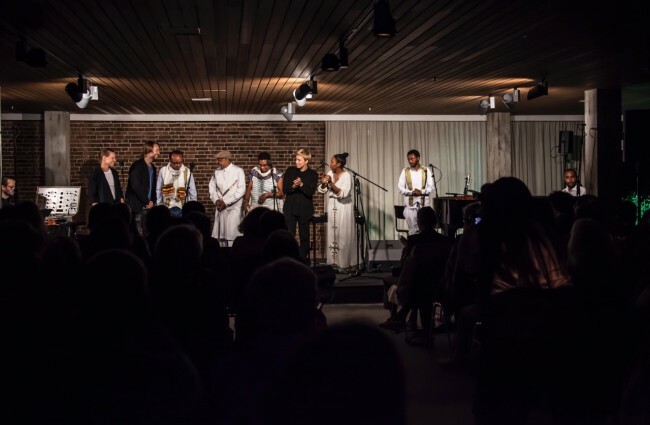 Though the lyrical tradition has its roots in the ancient Ge’ez language of the Ethiopian Orthodox Church, it informs secular verse and even everyday Amharic conversation, also being used to address sensitive or controversial issues. 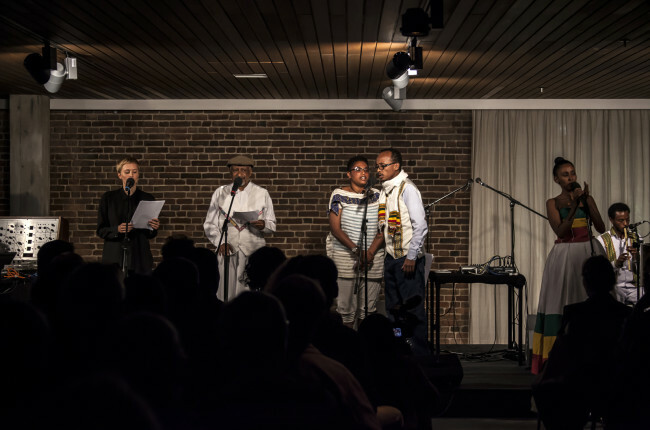 This project series by the Institut für Raumexperimente (Institute for Spatial Experiments) fuses contemporary expressive poetry styles in Amharic, German and English, and combines them with traditional Ethiopian music, jazz influences and electronic music. Continual shifts in languages, metres and rhythms create awareness of the subtle divergences of meaning that can be attributed to social and cultural influences. 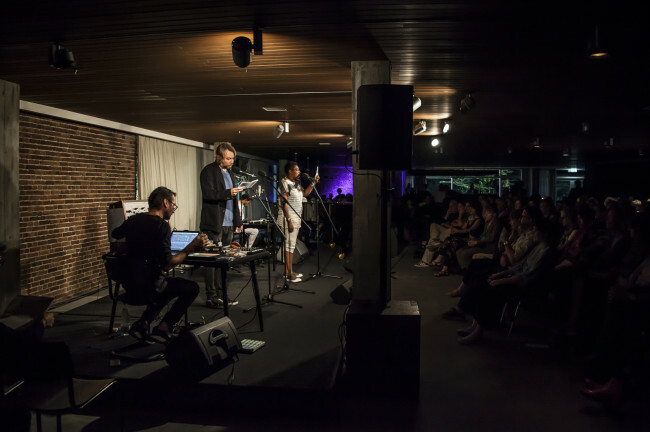 It is an experimental get-together of poets, musicians and translators, joining in an exercise of styles. 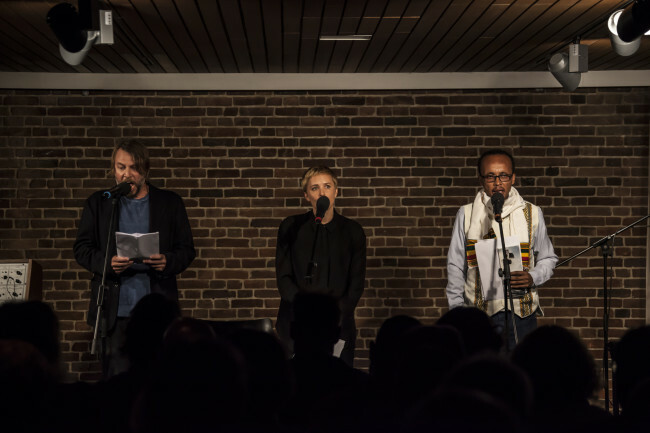 Clara Jo’s film A-B-A-B-A : from here to hear was presented during the evening, it follows the participating artists from stage to stage – Volksbühne Berlin (July 2014) to the Alliance Ethio-Française d’Addis-Abeba (February 2015) – and features interviews which reflect on various traditions within contemporary practice. Featuring: Gashahn Abateneh, Eric Ellingsen, Mihret Kebede, Erica Licht, Robert Lippok, Nebiy Mekonnen, Abebaw Melaku, Jorga Mesfin, Ari Benjamin Meyers, Bekele Mekonnen, Rike Scheffler, Misrak Terefe, Christina Werner, Uljana Wolf, The Moseb Traditional Music Band, Addis Ababa. 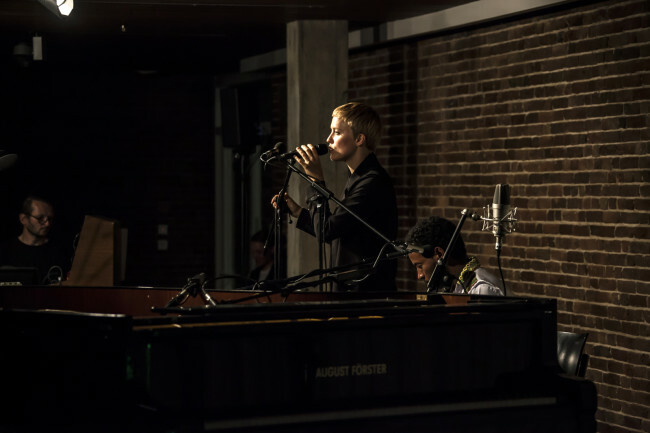 The poetry series is choreographed by Christina Werner. The evening is connected to the exhibition ‘Uncertain States – Artistic Strategies in States of Emergency’ this project is part of the event series ‘Uncertain States II – Colonial Repercussions’ at the Akademie der Künste, Berlin in 2017/18. 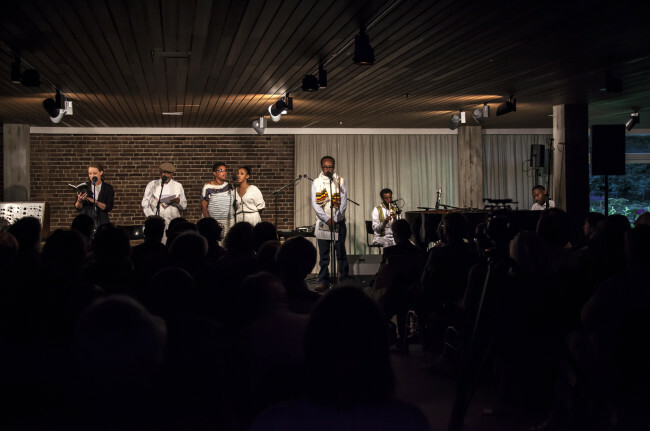 This event is part of the poetry series “Poetry Jazz: Wax and Honey, I’m Home” by the Institut für Raumexperimente, Berlin; in cooperation with the Akademie der Künste, Berlin; in dialogue with Tobiya Poetic Jazz, Addis Ababa; supported by the Studio Olafur Eliasson; Graham Foundation; Co-financing Fund of the Senate Department for Culture and Europe.